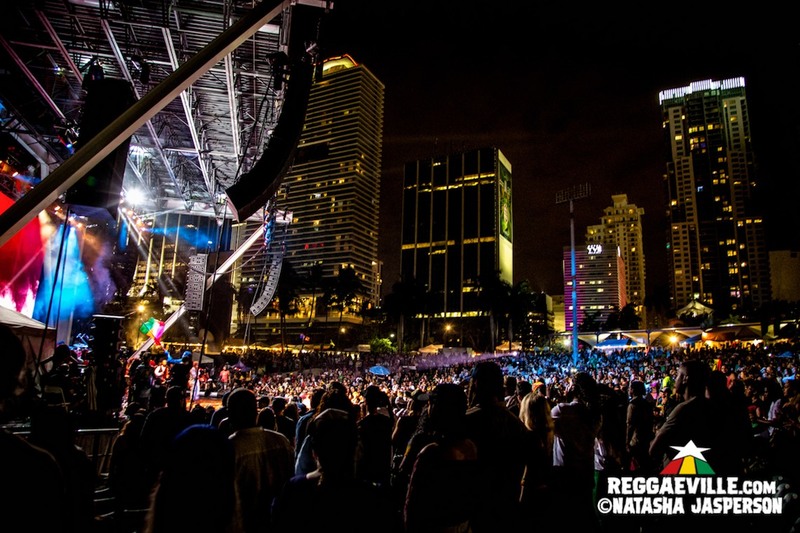 The first Kaya Fest took place in Miami, Fl last saturday at Bayfront Park. With a massive line-up it promised to be a major event. Highlight was the performance by The Marley Brothers: Stephen, Ziggy, Damian, Julian & Ky-Mani Marley performed together on stage in Miami for the first time in two decades and for the first time ever with the next Marley generation: Skip, Jo Mersa and Yohan Marley. Special surprise guest Pitbull performed his recent combination single Options with Stephen Marley. Lauryn Hill closed the inaugural Kaya Fest with a solo performance, which was a surprise to many. A user on Facebook descriped it like this „The energy was so high when the [Marley] Brothers where on stage and she [Lauryn Hill] killed it. The crowd went from grooving and standing to mostly sitting and nothing."